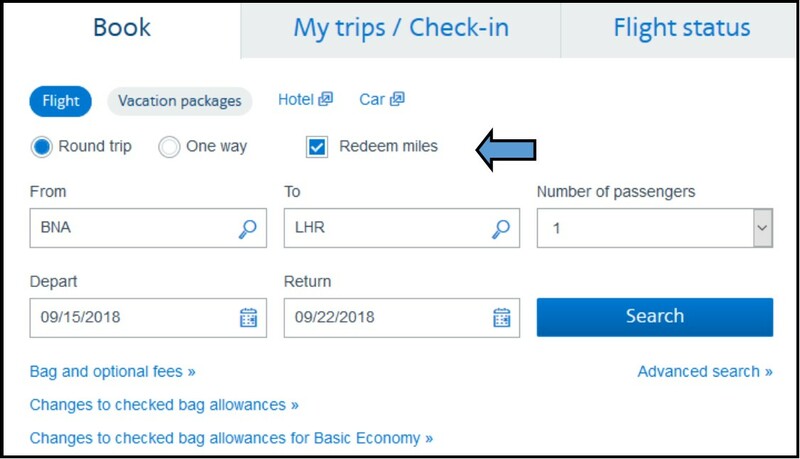 If you own one of the American Airlines Aviator credit cards issued by Barclays, check your account to see if you’ve been targeted for the new Flight Cents program. 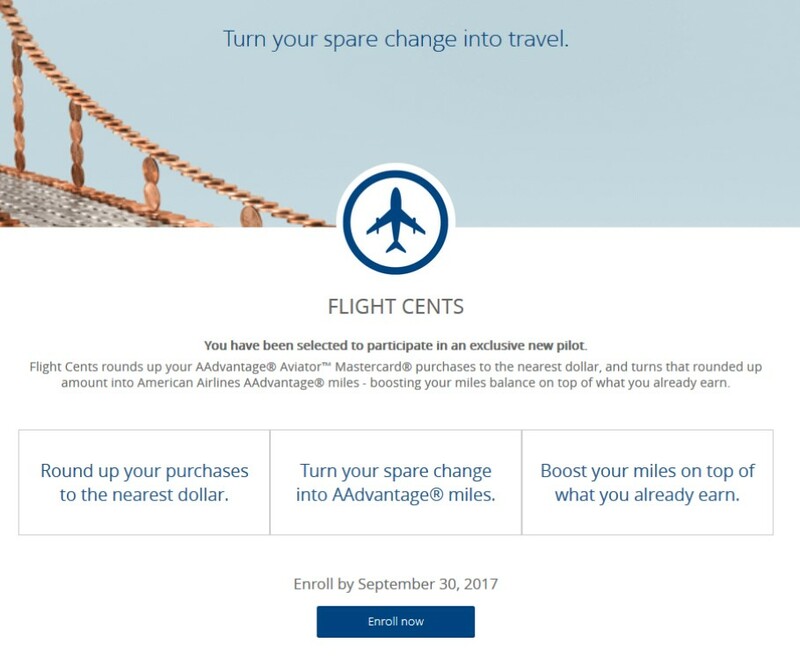 Flight Cents is a program where your purchase is rounded up to the nearest dollar and you earn one AAdvantage mile per cent. So if your purchase comes to $17.46, your credit card statement will reflect $18 and you get 71 AAdvantage miles for your purchase: 17 for the purchase and 54 miles purchased for the 54 cents that were rounded up. 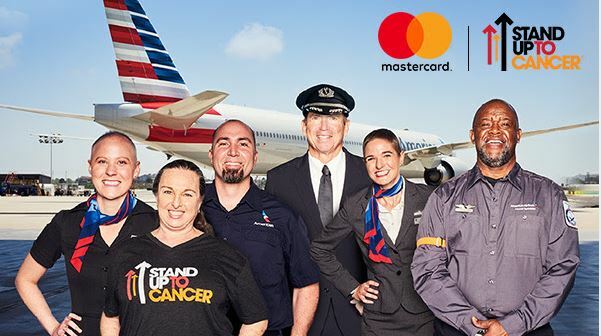 This pilot program runs October 1 – March 31 and you must register your account by September 30th by selecting the max number of dollars that can be rounded up in a month with the maximum being $500, which would net 50K miles. This will certainly make me look at using my Aviator card more frequently during this time period despite the fact that my largest stash of airline miles is currently with American. Were you targeted for this or a similar offer? 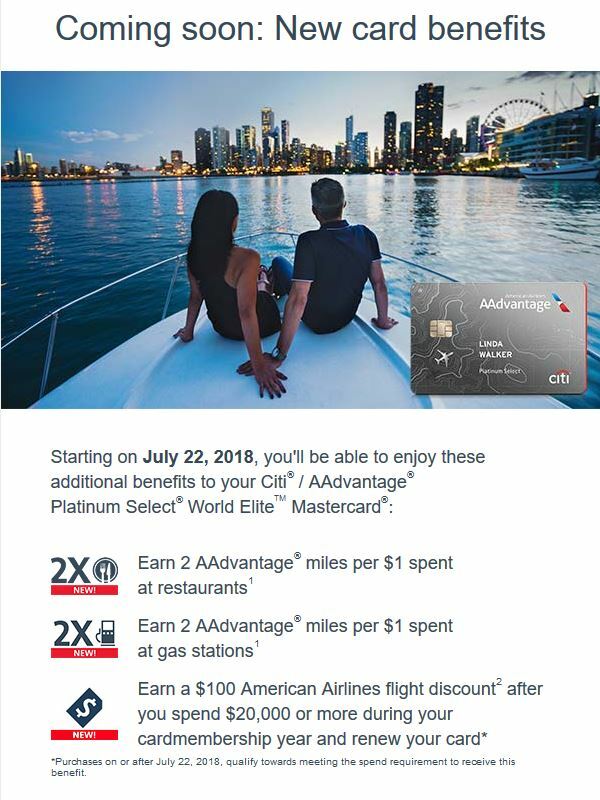 The AAdvantage Aviator MasterCard is offering a targeted bonus for the second quarter of 2017. 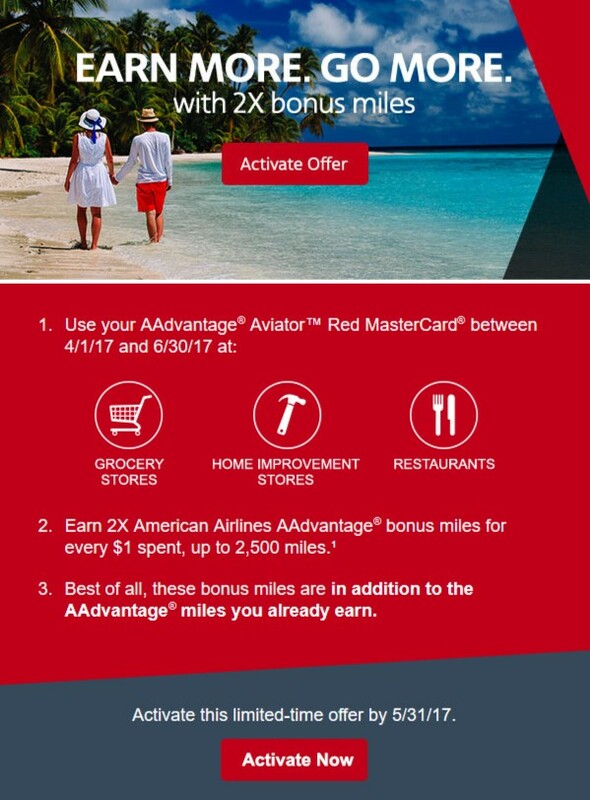 Normally this card only offer bonus miles on purchases from American Airlines but during this promotion cardholders may earn 2x bonus miles for every $1 spent at grocery stores, home improvement stores and restaurants between April 1 and June 30, 2017, up to 2500 bonus miles. If you were targeted you should have received an email from Barclays providing a link to activate the offer. 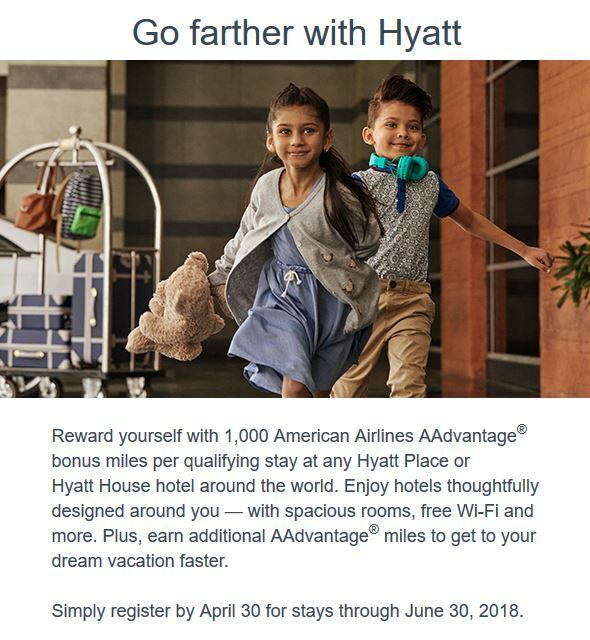 Note that you must activate the offer by May 31 to be able to take advantage of it. 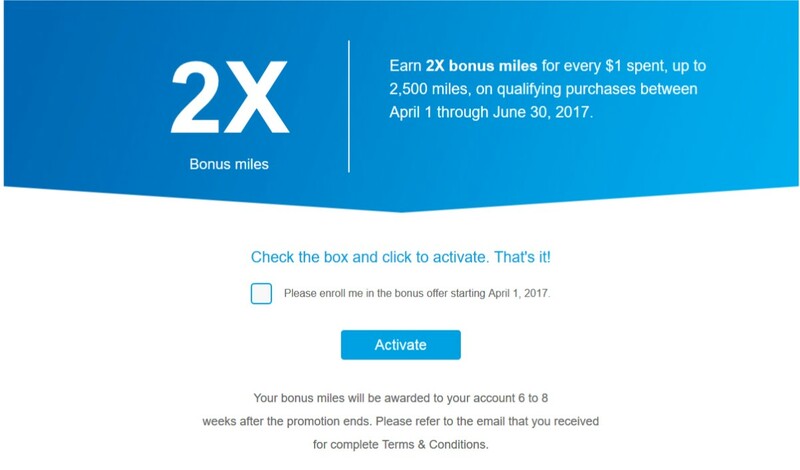 The phrase “2x bonus miles” had me stumped. To me, that sounds like I should get 2 miles (the bonus) in addition to the 1 mile per dollar I’d normally get at these types of businesses, which would mean I’d only have to spend $834 to max out the offer. I reached out to both the Twitter team (@AskBCUS) and using the secure message center on the Barclays US credit card website. The folks at the secure message center didn’t even take the time to understand my question. They seemed to think I was having trouble registering. Fortunately the Twitter team was on the ball. They clarified the offer is for a total of 2 miles per dollar spent in these categories, meaning I’d need to spend $1250 to accumulate all 2500 miles. That was what I had suspected but it was good to get clarification. For me this is one of the easiest offers to use. 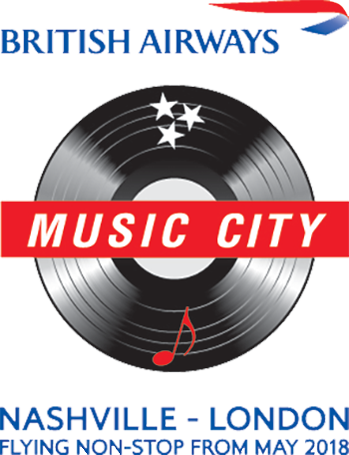 Grocery stores and home improvement stores each sell gift cards – both Visa and merchant – which makes it a piece of cake to meet the requirement. 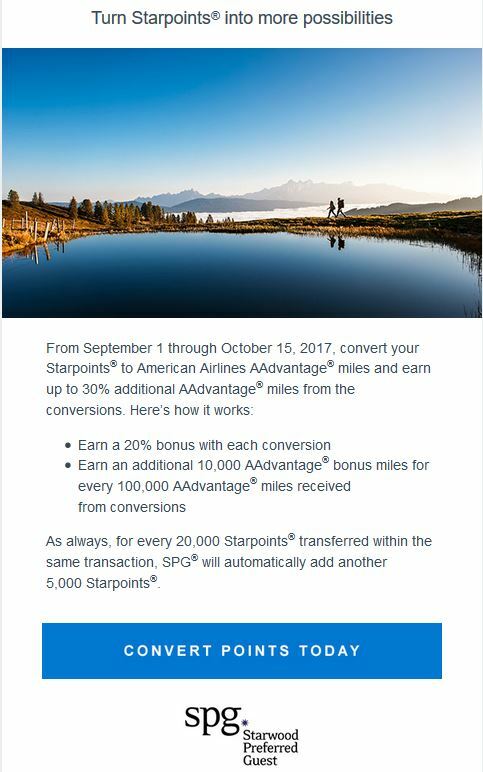 Note that bonus miles will not be awarded until 6-8 weeks after the promotion ends. While I hate that it takes that long to get the extra miles, that’s pretty standard for Barclays. 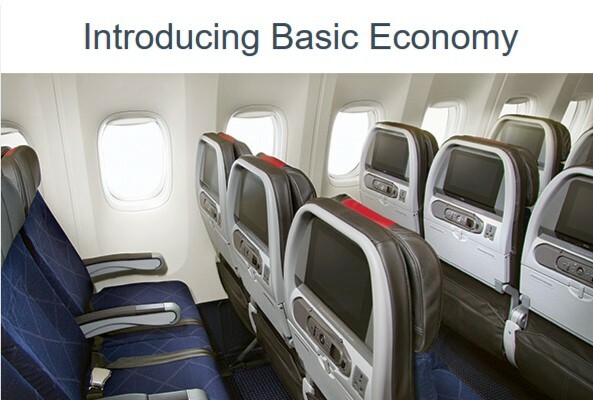 Yesterday both American Airlines and United Airlines rolled out their new basic economy fares in limited markets. 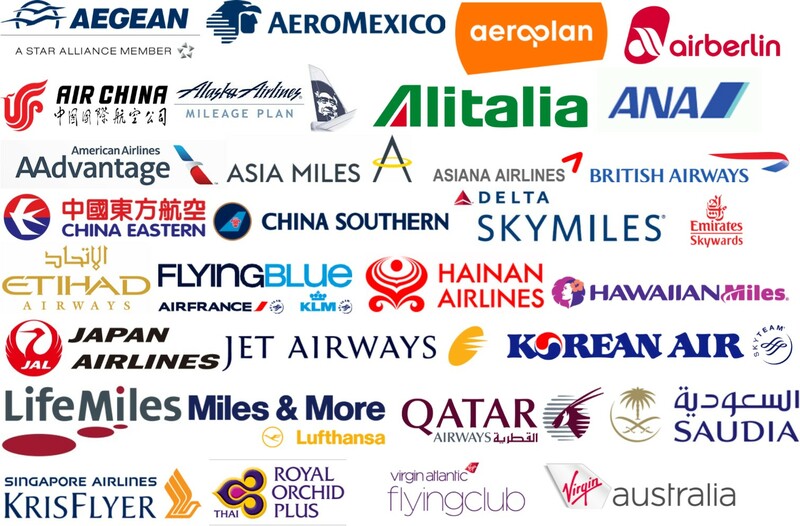 These are cheaper fares that come with a number of restrictions like no carry-ons in the overhead bin, no seat selection, no flight changes (even for a fee), last boarding group, limited mileage accrual and lesser credits toward elite status. 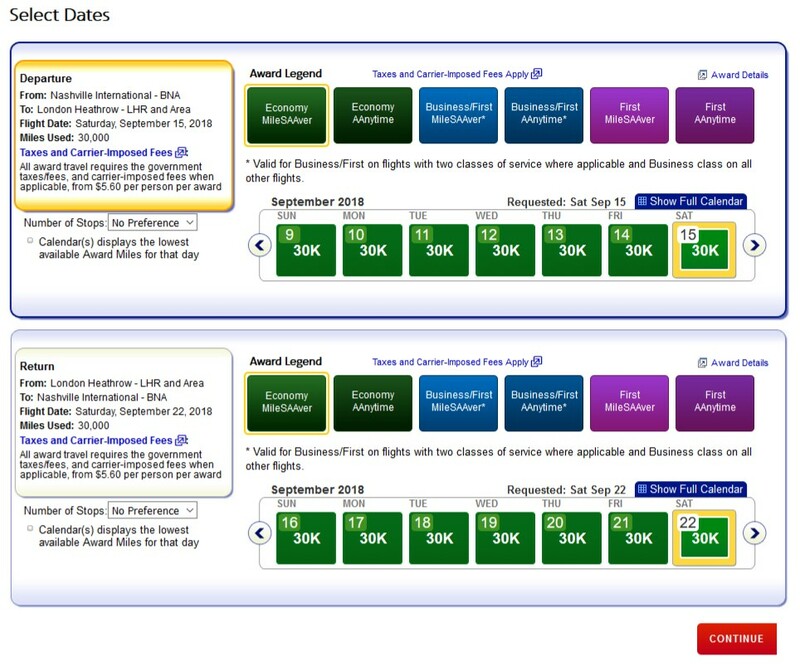 (Some of these restrictions are waived if you have elite status and/or hold one of the co-branded credit cards.) When you book these fares on their website, there should be clear indication of what is and is not included in your fare.